Several years ago I began to ponder the internet recipe site of Abel and Cole, the major organic vegetable subscription service in the south of England. There was was something so incredibly interesting, and original, light-handed yet educational and resourceful there, a joyful and free competence around food that felt rare and precious and kept pouring forth, anew. Visit that site; it’s such a great resource for recipes (even though I’m more drawn these days to the idea of “freecipes,” there’s still lots to learn from reading them). For people who cook, who take their cooking “practice” seriously, learning from others is enriching and serious business, and I make it a task to learn as part of my love of cookbooks, and prefer most of all writers with style and a unique way of going about the kitchen. Recently I met the Abel and Cole food editor Rachel de Thample. She is in person everything her food seems to be: warm, fun, intelligent, committed to a better food system, creative, interesting… So as a cookbook aficionado I was really excited to read her new book Five: 150 Effortless Ways to Eat 5+ Fruit and Veg a Day. On the one hand this book is what the subtitle says, an effort to get us all eating the way we should. On the other hand, and more excitingly, it’s a wonderful insight into an original cooking voice with lots to teach, inspire and entertain. Rachel’s food is so very pretty and always clearly expresses the concern to nourish body, soul and senses together. She is also playful with boundaries, techniques and cuisines in a refreshing, really unpretentious way. English Breakfast in a Buckwheat Crepe– really funny and yummy, down to the perfume of the Marmite… I think this would be great fun if friends stayed over Saturday night and Sunday morning revealed space for Brunch..
Winter Roots and Leaves in a Tropical Dressing (pineapple based) just in case the grey skies hold you in their gloom– this is like a kitsch recipe from the 1950s rewritten into something healthful and seasonal (mostly!) — really beautiful. A Carrot Freekeh Pilaf she describes as the marriage of a farm shop trip with discovering a 13thC. recipe from Baghdad– rising to a contemporary occasion with Avocado, Pistachio and Saffron Creme Fraiche. Are you getting the idea? Rachel de Thample is a home cook who is mashing up concepts like: North/South/East/West; Raw/Cooked; Seasonal- Local/ imported Fairtrade; Healthy-light/ Comfort. And I’ve made her Cinnamon Parsnip Sponge, and sprinkled it with rose petals, another deliciously fun and nurturing recipe. 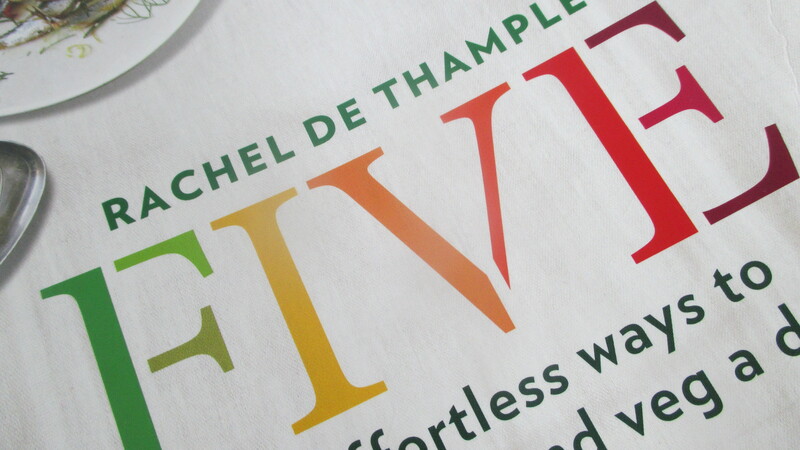 Five is a book to read for pleasure, to explore when your own inspiration is lacking, and when you’re really keen to bask in the creativity, imagination and playfulness of a food writer who herself takes inspiration from all over the world and presents it back to us in a seasonal, local, and mostly vegetable package. Oh yeah and the photography and food styling are beautiful too! The cake got even better for sitting a day…. 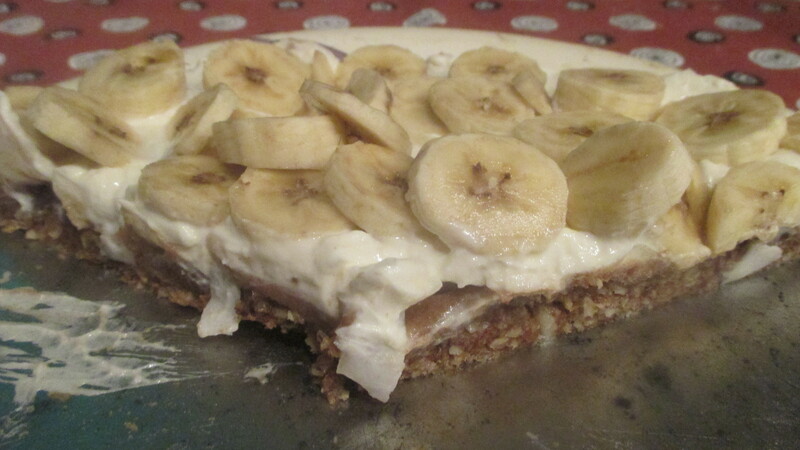 And yes parsnips and sweet food but I do like the mash-up of sweet and savoury….